Have you ever considered travelling to Canada or perhaps move there with your family to work? There are so many agencies that have sprouted there that assist potential clients to send to a foreign country such as Canada. But I would highly recommend to make your personal research first and read a number of documents that will help you with Canada Work Visa before plunging yourself to something you might regret later on. 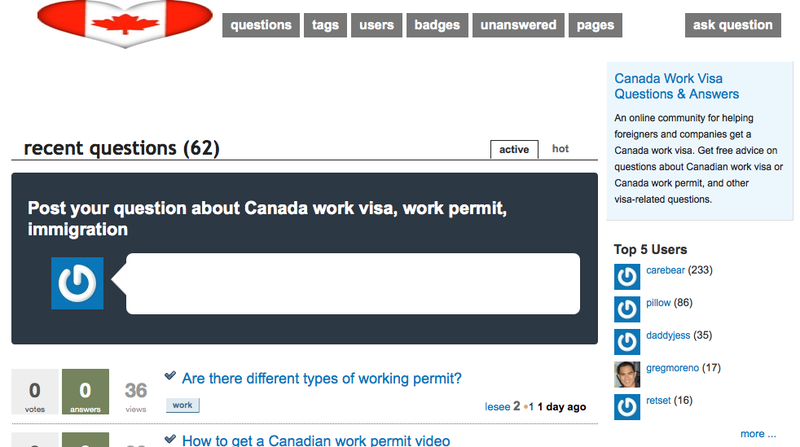 The http://canadaworkvisa.shapado.com is an online community that helps foreigners and companies get a Canada Work Visa. It practically offers you tons of Q&As that give information related also to work permit & immigration to Canada. My friend, Erison started reading and studying documents, that he acquired from the internet, on how to acquire a work permit and work visa without having to go to an agency and sign up as a client. He did everything by himself and was able to save about 50% of the total cost. His application was approved in less than a year and finally moved to Alberta, Canada in 2004. Good luck to your search and VISA application!